When Checa Robles emailed to ask me something about my undergraduate thesis, I was reminded of the fun days I had spent in Albert Hall, home of the National Institute of Molecular Biology and Biotechnology (NIMBB) where I took up my BS. I did my thesis under the tutelage of Dr. Cynthia Palmes-Saloma, principal investigator of the Laboratory of Cell and Molecular Biology (LMCB). It was a colorful, memorable, and tiring experience. I loved how accessible Ma'am Saloma was—as soon as she'd hear the news that my mouse was due for dissection, she would leave her office, don her lab gown, and join me in the cell culture room. She taught me many things about the lab, especially in the art of experimentation. 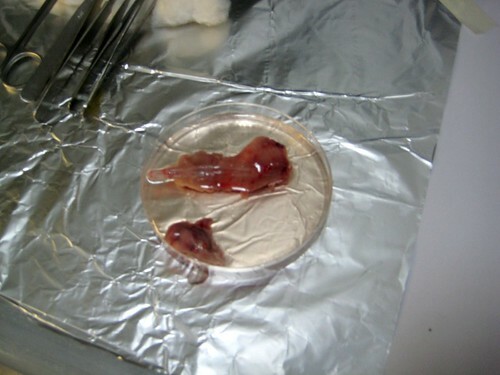 I had the extraordinary opportunity of working side by side with her: she taught me how to dissect a pregnant mouse, operate on the embryos, and isolate the trigeminal ganglia which I had to grow on a special medium. The protocol required steady hands and precise hand-eye coordination. She emphasized the use of having the right tools, the perfect lighting (because the ganglia were partly translucent), and the correct attitude: don't be afraid; do what you have to do; use whatever works for you. I learned many things from her, things not taught in textbooks. Maybe Checa's email kindled nostalgia in me, so now I'm posting pictures of the lab that I took some two years ago. I'd like to keep them online because, who knows, someone could hack my computer to erase my files. Of course I made sure that none of the photos bear important, classified data—or else Ma'am Saloma would kill me. 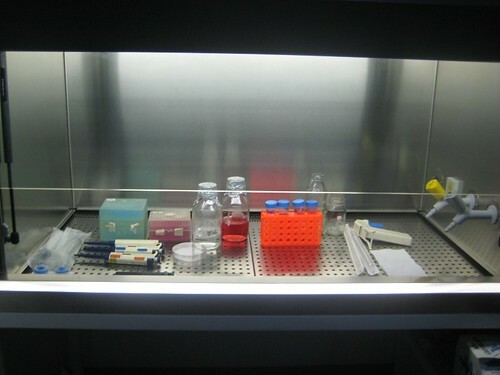 This was my workspace—the cell culture room—that I had the privilege of sharing with Ate Myka Ababon, who was then working on nanotubes. Later on, Juanchi Pablo would join us as he grew his cancer cells. This cubicle was sterile: I had to wear a different labgown and lather my arms with 70% ethanol before I entered. I took extra care to arrange my stuff inside the hood this way. This was a quiet, lonely task that could go for hours, and I would hum some music to steady my hands. I miss the quiet rumble of the ventilation system. I wasn't getting good results from the previous thesis project, so this was about the time when Ma'am asked me to do something else: isolate the dorsal root ganglia. A major challenge was getting pregnant mice. At the start of the year, my mice were quite cooperative. Just when I was cramming, they just wouldn't do it anymore. 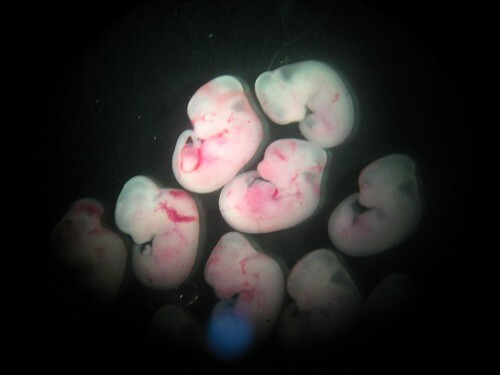 Here were the embryos isolated from a single pregnant mouse. 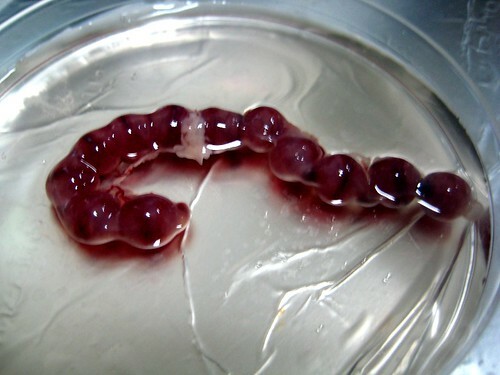 The embryos looked this way under the dissecting microscope. Ma'am Saloma stressed the importance of good lighting in this part of the experiment. 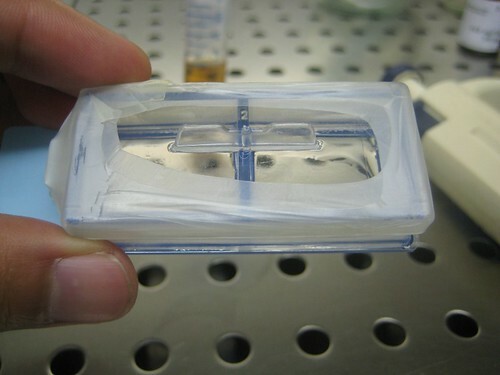 These were the expensive, positively charged plates where I grew my neurons on. Neurons, unlike fibroblasts, required extremely special treatment. The fun part was immunostaining. 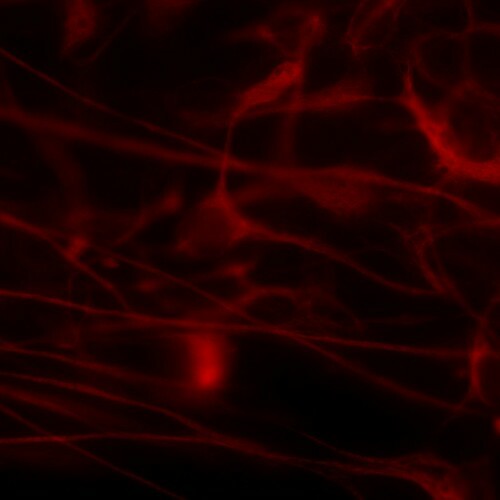 I used an antibody to color the actin filaments. What joy! By God's grace, I was able to finish my thesis—that is, after praying really hard and changing topics thrice. Yes, Ate! Andun pa nga 'yung picture frame ng LMCB batch ninyo sa lab, eh. Nakakamiss nga ang lab work, ano?